Sportsbetting.ag USA Online & Mobile Sportsbook Review, SportsBetting.ag is now a reputable MLB baseball betting site that accepts people who bet from the US which gets very good reviews, however this was not always the case. Before BetOnline became the majority shareholder of Sportsbetting, many MLB betting fans did not have good things to say about them. One member of a popular sports betting forum back in 2008 said I would not do business with them again, way too slow on payouts. Called for the fourth time today and the guy assured me everything is okay but the previous check bounced. 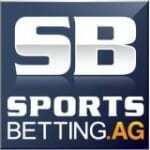 Since 2012 USA friendly BetOnline has taken sportsbetting from an SBR rating of D to a SBR rating of B+. The big question many baseball bettors ask is, what has changed? MLB Dime lines now exist in sportsbetting. Prior to BetOnline becoming a majority shareholder there were no dime lines. Now there are very strong lines which sports bettors are happy with. 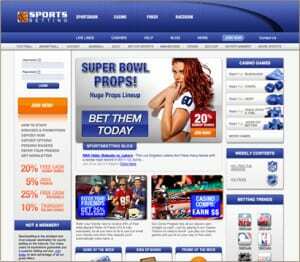 USA friendly Sportsbetting offers a large range of lines for more sports than just baseball. They began their business in the 90’s and are currently located in Antigua. They offer a $1,000 free play bonus and have options for reduced juice for NFL games (not baseball currently). USA friendly Sports betting offers an online casino as well as one of the best USA online racebooks, many of our readers on our sister sites Every1bets.com say that they have a plethora of option for their racebook. Another advantage sportsbetting has is that they offer weekly contest which featured ample payouts. They also have a live chat option as well as live betting. What is the minimum and maximum bets I can make? Their minimum bet is currently two dollars and the maximum is twenty five hundred dollars. 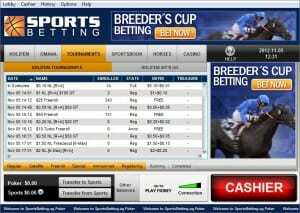 What kind of software does sportsbetting use? Currently the software used is BetSoft. What kind of bonuses does sportsbetting offer? How do you make deposits and withdrawals with sports betting?